Go Go GoA. . .
Goa is a place which attracts tourists from all over the world famous for its beautiful beaches, church and fort. It is around 580 km from Bangalore which requiers approximately 15 hrs by bus. That was a fine friday day when we were having tea at our office canteen just chatting casually where our goa trip matter came up. That was around 4pm we decided and started to goa that night only.! Without any reservation 4 of us went to majestic. Got a Goa bus which luckily had only 4 seats left. Goa is a state of beaches. Eventhough all beaches are almost same, they have different names and popularity. 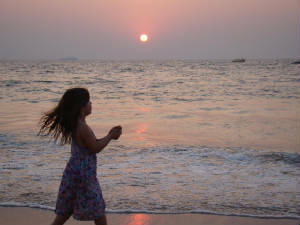 You have n number of beaches there upon which Calangute , Miramar, Dona Paula,Vasco Da Gama beaches are some of them. All beaches are almost same where you can enjoy water sports, parasailing activities. Do bargain heavily while going for watersports. Fort Aguada is beautiful where a scene of famous movie 'Dil Chahta Hai' was shot. 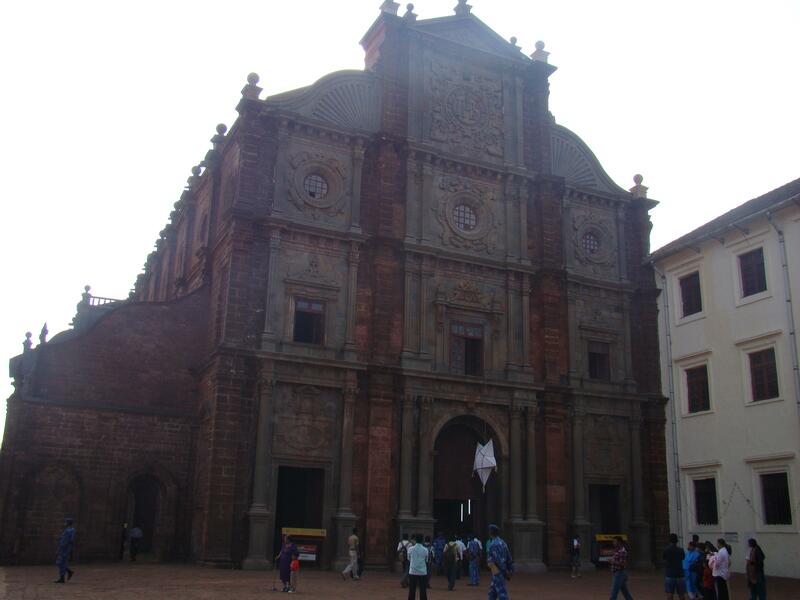 So many churches are there upon which Besilica stands worth visiting once situated in old goa. 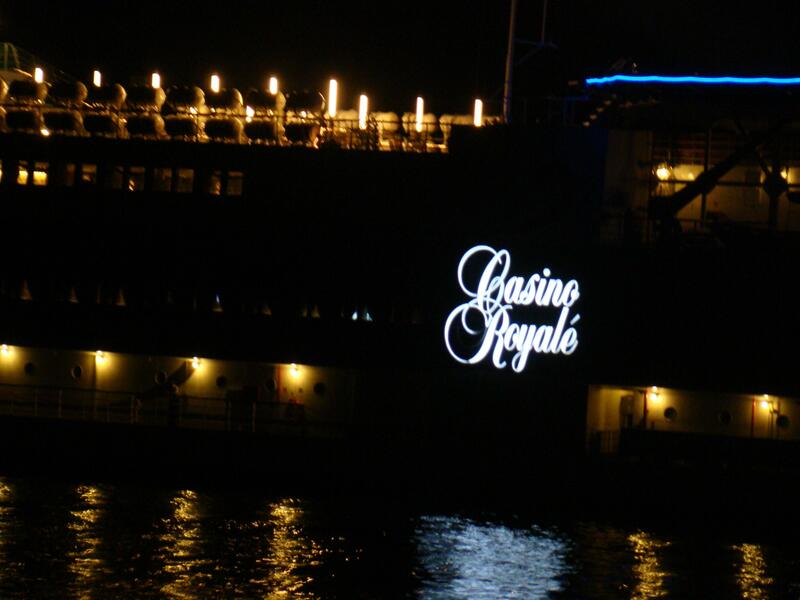 Cruise will be conducted on river Mandovi where you can enjoy if you are in large number or even with family.In special occassions like new year and all, you better take the tickets earlier. People will guide you if you ask them. They can understand Hindi and english inspite of Konkani. It is better if you hire bike or car which are available at many places there on day basis to roam around places in goa. They will ask for an address proof and you have to have the Driving Licence.When we had been, it was 300 rs per bike (splendor) per day. You can get veriety of vehicles from autogear bikes to cars, depending on which the rent varies. (Fuel is at your own cost). You better book the return tickets for bus or train, else the private buses will double or tripple (in christmas and new year time) the bus fare depending on demand. If you are planning for goa trip, have a look at the following links. went by: bus and came back by train.